If you would like to see the footage I got from my time in iceland, check out the video below. You can read about the journey below! When I was a kid, I was a huge GI Joe Fan. Little did I know that a GI Joe episode would introduce me to the Northern Lights. 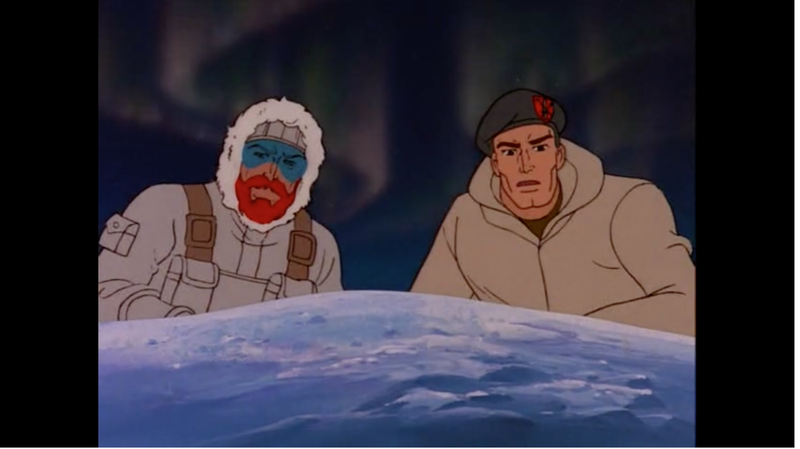 In the episode, Cobra creates a weapon that pulls down the Northern Lights to melt the ice caps and flood the world. Obviously, they didn’t think about global warming, and save themselves the time. As a kid, I was in awe that something like the Northern Lights existed and from there I was hooked and wanted to always see them. Senior Year of High School, the movie Frequency came out. Frequency is a classic movie in which the Northern Lights allow a man from the past to talk to his son in the future, and they go on an adventure to right the wrongs of the past. It is one of Dennis Quaid’s best movies. If you haven’t seen it, I highly recommend it. Between Frequency, GI Joe, and my own curiosity, I knew one day I had to see the Northern Lights. Fast forward to 2017, and that dream finally came true. I found my way to Iceland through a photography workshop. The workshop was put on by a photographer I follow on social media. He is from Tucson, AZ and his name is Sean Parker. If you would like to check out his amazing work, you can find A LINK TO HIS WEBSITE AT THE BOTTOM OF THE BLOG, ALONG WITH MY OTHER INSTRUCTOR THOR. When I was on Remote Year in 2016-2017, the travel bug bit me, and so did the photography bug. When I found this workshop, I knew I had to do it. In August, I booked it and at the end of October, I would depart Nashville, make a quick stop in Boston, and then fly to Reykjavik for a week in the beautiful country of Iceland. This blog post tells the tale of my journey. I left Nashville on Friday October 20th. I had lived the summer in Nashville, and it was bittersweet to leave. I flew to Boston. I stayed the night Boston, and the next day, I explored Boston a little bit, until it was time to head to the airport and fly to Iceland. I got on the plane, and made the flight over the pond to Iceland. I dozed off here and there, but didn’t sleep much. I landed in Reykjavik around 6:30 AM. The line at Customs was long and I made my way through it in about 30 mins. The airport is about 45 mins outside the city. Since it is so far out, they have a bus service which is much more cost effective than a cab. You get on the bus, drive for a while, and then stop at a bus station, switch to a smaller bus, and then the smaller bus takes you to a stop near your hotel. I got to my hotel around 9:30 AM, and our photography group was not going to meet until 6:30PM that night. I was exhausted. I went into the lobby of the hotel, and they had a room full of couches. I plopped down on one of them, laid my head back, and the next thing I know it was 11:30 AM. Out of curiosity I checked in with the front desk and my room was actually ready. I got the key and headed up and rested a little more. After a little bit of rest, I got up and decided to explore the streets of Reykjavik. It was a brisk, cloudy day. I wandered the streets, took some photos and tried to get a lay of the land. I stopped in a cafe, had myself a couple of pints, and then headed back to the hotel to get ready to meet the people I would be traveling with for the next week! The only thing I knew about my group was that it seemed like mostly women based on the couple emails we got from the instructors. This turned out to be true and I was the only male student in the group. We were all staying at the same hotel and met at the hotel restaurant for a welcome dinner. We all sat together, and our instructors Sean and Thor were there to give us the lowdown on the week. We ate dinner, got to know each other, and talked about photography. The instructor Sean and I stayed and had one more beer after dinner. It was nice to talk to him one on one and get some insight into his life as a professional photographer. The night ended and I went to bed, and got ready for the early morning wake up call to hit the road and start the week of taking photographs in Iceland. I got up on Monday morning, and hopped in my small shower. The shower was a little tricky, but once I figured it out, I started to smell the scent of sulfur. It was weird, and after completing my shower, I did a little google search to find out if that was a thing. As it turns out, it was. The water comes from hot springs, and it smells of sulfur. I packed up my stuff, and headed down to the lobby and met up with the group. We loaded up our chariot and our instructor Thor who was from Iceland, got us on the road. Thor was the other instructor, he was born in Iceland, and is also a super talented photographer, and knows a ton about Iceland and photography. I was comfortable with his knowledge from the get go. On the way, we stopped at a camera shop as a few people needed to ge some gear. I had to pick up a filter to help with my waterfall photos. I got what I needed and we were on our way. As we got out of the city, the beautiful Icelandic countryside started to show itself. I have always enjoyed drives, and this was no exception. The beautiful scenery outside my window provided for a view that I could very well get used to for the next week. We stopped at a waterfall, and got some great shots of the rainbow that was created by the mist. After the waterfalls, we got back on the road. We would stop at various places along the way. Several of the stops were along the beaches of Iceland. The beaches in Iceland are beautiful black sand beaches. Apparently some show called Game of Thrones has been filmed there. The rocks were beautiful. There was a mist and it just felt surreal. We got some great shots. We got to our hotel, which was very nice, and got a good night's rest as the next day was going to be a long day because we were going to wake up for sunrise, and then stay up late for the northern lights. Wake up call was early and we headed to the black sand beach to catch the sunrise. It was a cloudy morning, so we didn’t get any good shots of the sun, but it was still an amazing site to see. The power of the waves was surreal to me. I couldn’t believe how powerful they were. They would come up on the shore, and had the sense that they could pull you from the beach and take you out into the water with no problem. Apparently this has happened to tourists who didn’t read the warning signs. We got back on the road, and did more driving, we drove a lot. It was more time to put the headphones on, listen to music, and just take in the beautiful sites that were showing up outside my window. We settled in to our next hotel, and then headed to a glacier lagoon for sunset. This is a lagoon in which chunks of glaciers that are breaking off wash in and out of this lagoon area with the tide. It is beautiful and the sunset produced one of my favorite photos from the trip. I also got to fly my drone around and get some beautiful overhead shots of this amazing lagoon. After sunset, we went back to the hotel, had a wonderful dinner, and then we were going to head out to see the Northern Lights. I was so excited. The moment I was waiting for was almost here. You never know what you are going to get with the Northern Lights, so I tried not to get my hopes up too much in case we didn’t get to see them. We drove about 45 mins to a glacier. We got out of the car, and you could already start to see the lights appearing overhead. My heart raced and I was overcome with excitement. Everyone was excited, and everyone was rushing to get their camera gear out. We had a short hike to the base of the glacier and set up our cameras. Once our tripods were up, the lights came to life. Our instructors Sean and Thor were helping us getting set up and instructing us on settings for our cameras. I took all the information and the lights were getting more active and more bright. I had to step away from my camera for a few minutes and just soak in the site of the Northern Lights. I moved away from the group and just looked up. I was in awe. The movement, the colors, everything about the lights was more beautiful than I could have ever imagined. The lights danced gracefully across the sky. It was like they were choreographed. They were in sync, and it was a site that will forever stay with me. After taking some time to soak in the moment, I made it back to my camera and started to get shots of the lights. We were extremely lucky and had a night that was pretty clear, and the lights were stunning. I got some great shots, and after about an hour and a half the lights disappeared and we made the short hike back to our car, and headed back to the hotel. I sat in the car, still in awe from the site of the Northern Lights. We got back to the hotel, and I went to bed. I slept in peace knowing I had crossed off something major on My Before I Am 6 Feet Deep list. I woke up after seeing the Northern Lights and felt so good about seeing them. We had a nice breakfast, and we all were so excited to talk about what we saw the night before. After breakfast, we got back on the road, and headed to where we would spend the day, making some stops along the way. It was a beautiful day, the sky was blue, and clouds moved through the sky gracefully. We stopped at an area where a volcano erupted years ago, and the lava hardened and the beautiful green moss grew over the rocks. The roadside was beautiful as it had been the whole time. I continued to be in awe as I looked out the window. Our spot for the afternoon was going to be a beautiful beach, with a beautiful mountain coastline, and sparkling black sand. I got some great photos, and also got to get the drone up and got some video of the beautiful beach and ocean. After the sunset, we headed to a local town and had a wonderful dinner. When we were on the beach, I had an incident in which the water came in a little higher than I thought and my socks got soaking wet. During dinner I headed to a gas station hoping they would be selling socks. Luckily, they were, and if you have never been to Iceland, things can be a little expensive. Let’s just say this was a $23/pair of socks, but they were thick, and dry, and my feet felt amazing after replacing my wet socks, with these nice dry ones. Next up, we headed back to the same beach we were at earlier to see the Northern Lights for the second night in a row. This was going to be a completely different background than the night before. We set up in a small tide pool. This would allow us to take pics with the lights reflecting in the water. The lights took a little longer to show up this time, and as time passed, they showed up more and more. We were looking at a set of mountains, and as the lights got stronger, you could see lights get brighter behind the mountains. It looked like a city was coming to life, but it was just the lights. The lights started coming from two different directions, and we got some great shots. The stars were beautiful, and I loved being able to see a clear starry night accompanied with the Northern Lights. We got about an hour and a half of a show. It was beautiful. The night ended, and we headed back to the hotel. I slept good, and was extremely grateful to be able to see the Northern Lights two nights in a row. We got up pretty early on this day as we were going to catch the Sunrise on the ice beach. 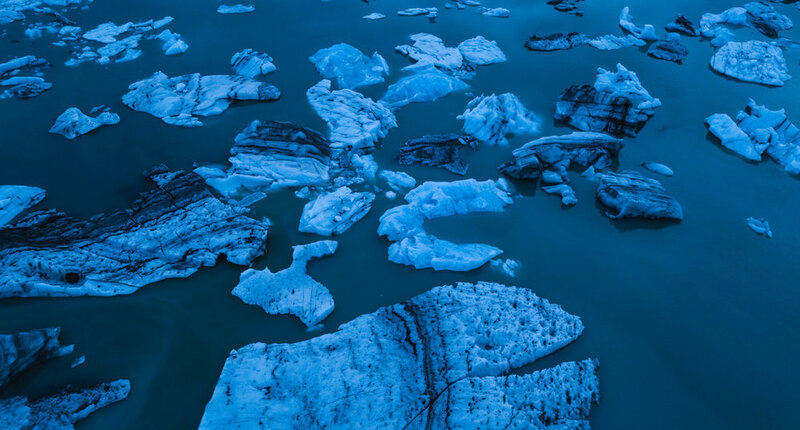 The ice beach is a black sand beach where chunks of glaciers wash up on shore. You never really know what you are going to get with the ice beach. Some days it could be empty, some days, it could be full and hard to walk on. Once again, luck was on our side, and we had a beach full of ice chunks. Our instructors were very diligent about explaining to us the logistics of the ice beach. As I mentioned earlier, the waves in Iceland are super strong. This is definitely true at the ice beach, and the waves can move the chunks in a heartbeat, and if you are standing, a wave can go by, and bring a chunk right at you from either side. Our instructors have said the ice beach is where they have seen the most cameras damaged. Luckily, we listened to them, and didn’t have any incidents, but there were some close calls. The sunrise was beautiful and we got some great shots of the sun hitting the pieces of glaciers. The sun, the black sand, and the chunks of glaciers, made for some beautiful shots. After the ice beach, we headed to another glacier lagoon. This one had a beautiful mountain backdrop and it was a perfectly clear day. We spent a little bit of time there, and I got the drone up as well. After that, we headed back to the hotel, did some photo editing classes, and hung out. For sunset, we headed back to the ice beach, but went to a different side of the beach. It was another beautiful sunset, and we got some great shots of the ice chunks on the beach. There was a pinkness to the sky, and a crescent moon lingering as well. It was cold, and the wind was picking up. We headed back to the hotel and had a nice dinner. It was an early night, so I got back to my room and started looking at some of the photos from the week and then headed to bed. The wind storm that was moving in was no joke and the speed of the wind got up to 108 MPH. Due to the strength of the wind, it was too risky to drive. We were going to have to wait it out at our hotel. This created a great opportunity for our instructors to spend some time helping us with some photo editing. We went through different techniques and the information was very valuable to help get the photos we had taken from the week developed and looking as sharp as possible. We spent the day working on that, and finally a little later in the day, the wind died down and we were able to head to out. We headed back to the glacier where we watched the Northern Lights the first time. It was so amazing to see what it looked like in daylight. This is a very popular spot where several films were shot. One of the most famous movies shot here was Interstellar. The sunset was overshadowed by cloud cover, but we still got some great shots, and I was able to get the drone up as well. We headed out of that spot and headed to our hotel for the night. We got there just in time for dinner. We had a nice meal and then discussed our plan for our last day. I couldn’t believe how fast the week went, but here it was the eve of the last day of the workshop. We left dinner, I got a nice nights rest to be up for our sunrise trek. The last day of the workshop arrived. We woke up for sunrise. We headed to a cool area in which a little city overlooks the ocean. In this little town is a church on a hill. There are some great shots you can get from the church as the backdrop is either the ocean or mountains. With the sun rising, we got some great shots. There were also some horses in the distance and we got some great shots of them as well. We headed back to hotel for a quick breakfast, then packed up our stuff and got on the road to head back towards Reykjavik. We would make a few stops along the way. We stopped for lunch, and then made our way to a couple of really cool waterfalls. The first one required a small hike, but it was beautiful and I got the drone up to get some really cool shots of the waterfall with both my camera and the drone. The next one was off the beaten path, and we had to do a little off roading to get there. It was a beautiful day, and we were lucky to see the clear blue sky, and the waterfalls were no joke in the beauty department. Our last stop would be a waterfall that our instructors would tell us not to take our cameras to as we were going to be directly in front of the waterfall and were going to get very wet. I did have a GoPro with me so I put that in my pocket to get some shots. We made the short walk to the waterfall and stood in front it and got soaking wet. It was a beautiful site and a great last stop for the trip. We headed back to the car, and made our trek back to Reykjavik. The bus was quiet, as I think everyone was both tired, and sad that our journey was coming to an end. I put on my headphones, and reflected on our week while listening to some tunes. We made it back to Reykjavik and got dropped off near our hotel for the night. We dropped our stuff off, took a nice hot sulfur shower, and then headed to the same spot where we had our welcome dinner and wrapped up the week. It was a great meal, we shared memories, and laughs from the week. After dinner, we walked around a little bit, some of us stopped and had a celebratory beverage. Myself and one of the instructors stayed out to get a feel for the nightlife of Reykjavik and met up with a few of his local friends there. It was Halloween weekend so everyone was dressed up. It was a fun night out, I headed back to the hotel to get some rest for day of travel the next day. I woke up that Sunday. I was exhausted. It was a long week. I had to be out of the room by the normal check out time, and got all my stuff together. I had enough time to grab breakfast before needing to get on the bus for the airport. I wandered outside my hotel and came across a nice breakfast spot that looked perfect. This would be an interesting breakfast indeed. I sat next to a couple of girls from Ireland who were on holiday for the weekend. Across from us at the bar was a Russian man, who had a few to many drinks, and was trying to take a selfie of himself while stumbling throughout the bar. He got a couple warnings, but after yelling out a few words, he was asked to leave. I ordered pancakes. I was starving and was excited to get a plate full of pancakes in my belly. Unfortunately, the pancakes were pretty much 4 silver dollar pancakes and not tremendously filling. I had been talking to the nice Irish girls sitting next to me, and one saw my disappointment in the lack of pancakes I received and offered me one of her sausages that was left over. Of course, I took her up on it. They went on their way, and in my head, I had thought, those Irish gals were super nice, like all other Irish people I have met in my life. I finished up my breakfast and then headed to the bus stop. I made the journey to the airport. And soon I would be on my way back to the states. As I was getting through Security, I looked to my left and saw a good friend of my brothers next to me. Our families both were from the same part of Arizona and he knew several of my brothers. I hadn’t seen him in a few years, and it was a pleasant surprise to run into someone you know at the airport in Iceland. All went smooth at the airport, and I made my way back to the states. I stayed in Boston for the night, and the next day headed to New York City to spend a week. AFter NYC I went back to Phoenix to spend the holidays with family and friends. 2017 was an amazing and challenging year and I am excited for what 2018 has in store as i begin a new chapter of life! Happy New Year. See you in 2018. Peace and Love!